Over 1,400 students, educators, librarians and parents throughout Pasadena ISD and the greater Houston area celebrated the written word Saturday, Sept. 27, during the fourth annual Tweens Read Book Festival at South Houston High School. Founded by a bookseller and librarian who wanted to promote literacy among pre-teens, the festival connects students in grades 5-8 with local and nationally renowned authors. This year, award winning authors Jacqueline Woodson, best known for Miracle’s Boys and Margaret Peterson Haddix, best known for the book series Shadow Children, were the keynote speakers. A total of 28 authors and illustrators, representing various adolescent genres, participated in panel discussions and autographed books. The Tweens Read Book Festival is a collaborative effort by Pasadena ISD librarians, South Houston High School staff, the Blue Willow Bookshop, the University of Houston and volunteers. Organizers seek to educate, enrich, inform, entertain and ignite a passion for reading and writing in the tween community. For more information on Tweens Read, please visit http://tweensread.com/. All photos are courtesy of the Pasadena ISD Libraries and Instructional Materials Department. 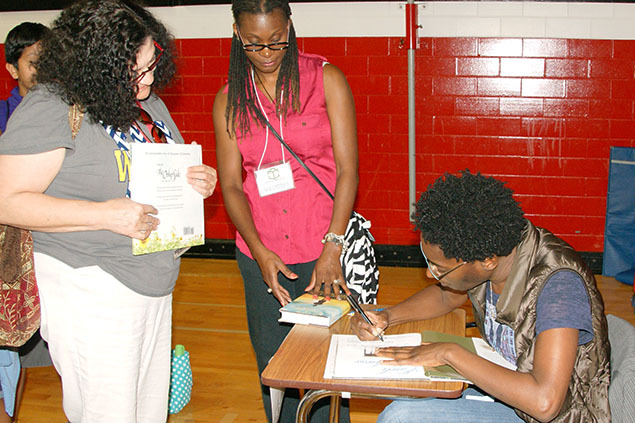 Jacqueline Woodson, best known for Miracle's Boys signs books during Tweens Read Book Festival. 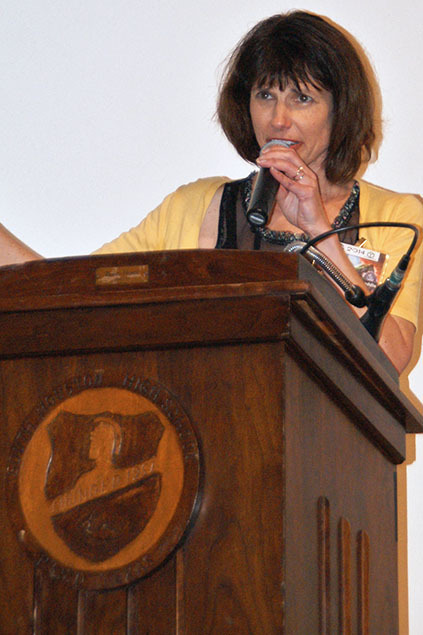 Award winning author Margaret Peterson Haddix, best known for the book series Shadow Children, speaks to students during the annual Tweens Read Book Festival.